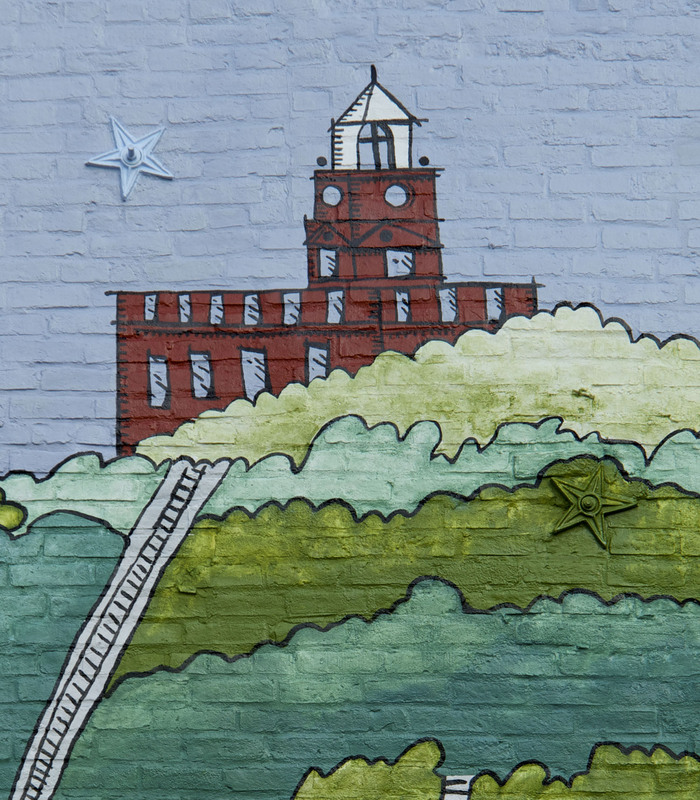 From its settlement in the early 1800s, the neighborhood of Pendleton has been a source of vitality, also witnessing dramatic transitions. 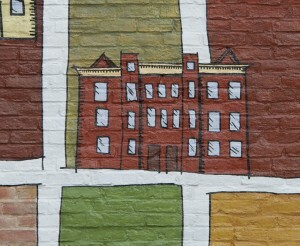 Waves of migration created a vibrant and compressed urban neighborhood. Immigrants from different regions of Germany: Rhinelanders, Saxons, Bavarians, Prussians and Alsatians were followed by Dutch, Scots, Poles, Irish, Italians, and Greeks. 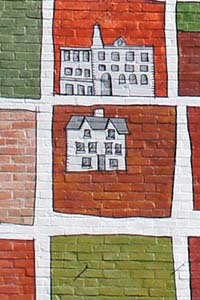 Later, the neighborhood saw the arrival of Appalachian Americans, followed by African American settlement. 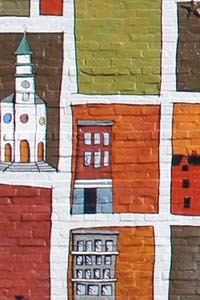 In tribute to this powerful legacy, ArtWorks commissioned the installation of the Pendleton Map Mural, created by artists Barbara and David Day, who also designed the Over-the-Rhine Gateway Campanile, which stands at the intersection of Liberty Street and Reading Road and appears in the mural at position E5. The monument’s bell tower houses 19 bells topped with cast bronze icon finials, each representing a different national or ethnic group that contributed to the rich character to this historic neighborhood, so that when the bells ring the “American Idea” still resonates. 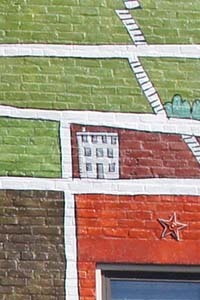 Join us in exploring the historic neighborhood of Pendleton by visiting featured sites from the mural. Special thanks to the Public Library of Cincinnati and Hamilton County for their help in researching, fact checking, and supplying of photos. 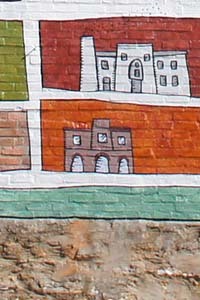 Mural located on Pendleton Street across from Pendleton Arts Center. The first Turner Hall, a wood-frame building built on this site in 1851, housed the Cincinnati Central Turner Society, a German social club which mixed gymnastics, politics and community. Based on the German word for to exercise, turnen, the Turner movement was brought to the United States by exiled participants of the failed 1848 revolution in Germany. The Turners promoted organized exercise and athletics as the way to improve physical strength, moral character, and civic virtue and inspired the inclusion of physical education in American schools. The Turners also served as a model for the creation of similar organizations, such as the YMCA. In 1859, the Central Turner Hall, a substantial Neo-Classical three-story brick structure, replaced the Turners’ first gymnasium at the same location. With a gymnasium, theater, and offices, it became a major social center for Cincinnati’s German community. During the Civil War, the men of the Central Turner Hall joined the all-German Ohio 9th Infantry Regiment, known as Der Neuener . The Turners remained at the Central Turner Hall until 1959, when they moved to a facility in Springfield Township. The hall was razed in 1974. One of the largest bakeries in the Midwest in the early1900s, its trade extended to numerous places in Ohio, Kentucky and Indiana. This five-story building of brick and limestone construction housed a German social club, union meeting place, saloon and restaurant at street level with apartments above. 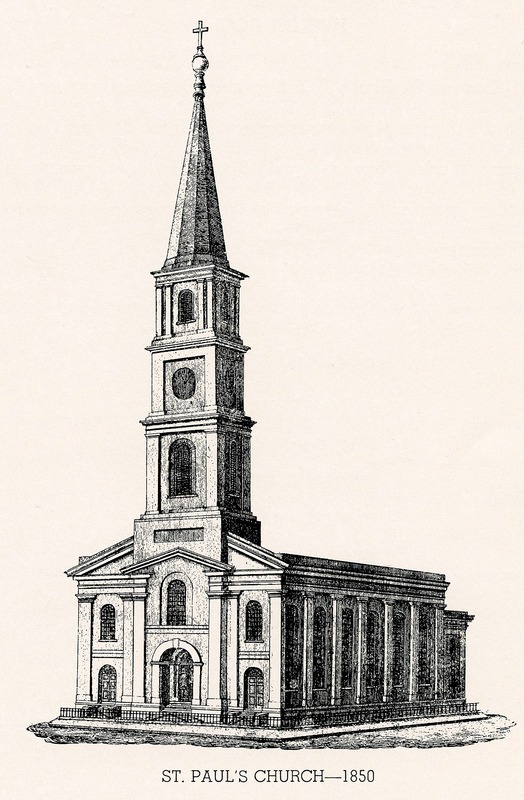 Old St. Mary’s Church is the oldest standing church in the city of Cincinnati. 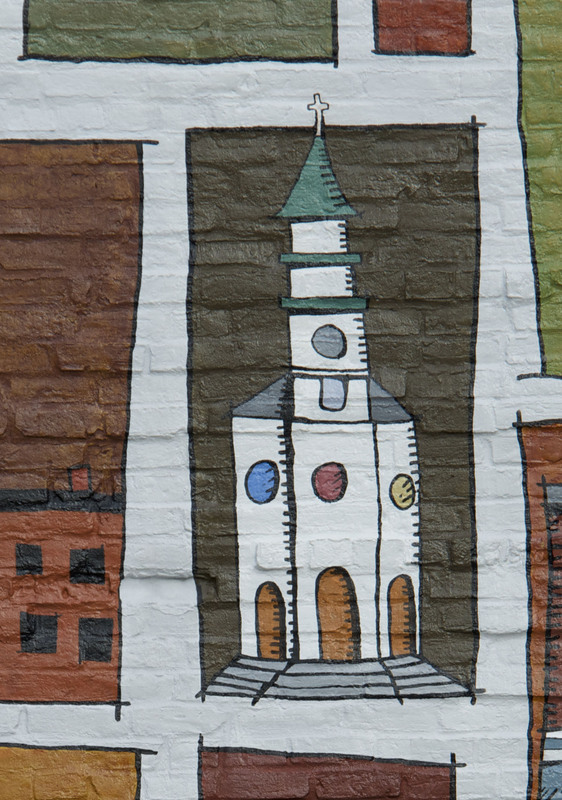 Dedicated on July 3, 1842, it was the second German-language Catholic parish established in the city as Cincinnati experienced a period of major German immigration. 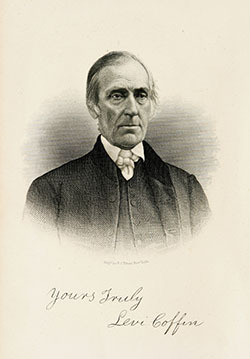 Franz Ignatz Erd, a mason and local coffee shop operator, designed the church building in the Greek Revival style. The parishioners built the new church mostly by hand. The men cut the timber and the women baked the bricks in their ovens at home. 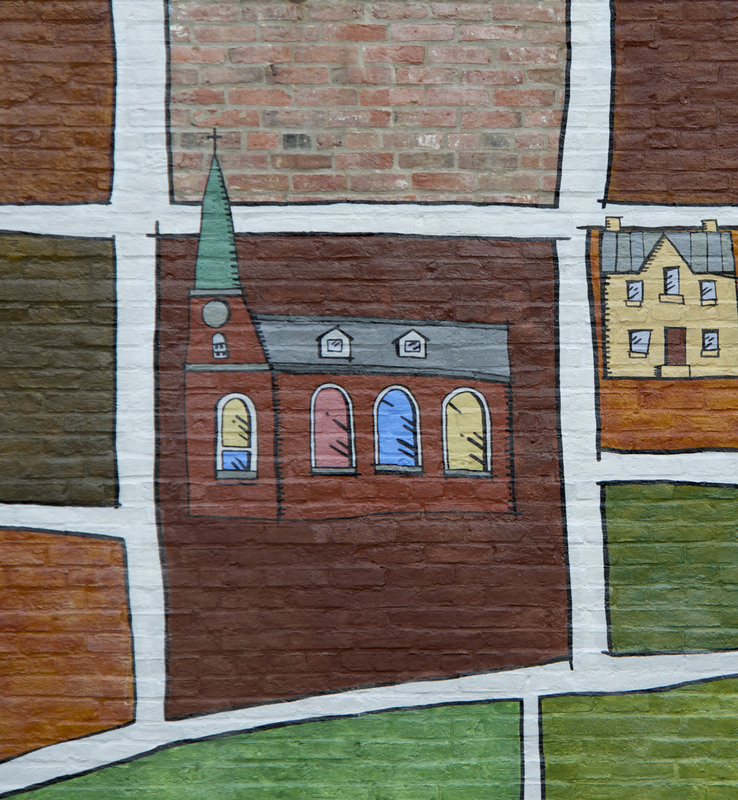 Despite the tragic loss of 800 members in the cholera epidemic of 1849, the church flourished during its first decade, building a parish grade school in1847 and a separate boys’ school in 1851. 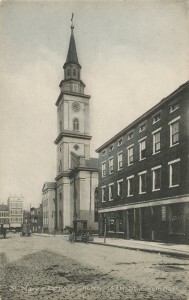 The church became known as Old St. Mary’s when a new St. Mary’s Church was established in Hyde Park in 1907. 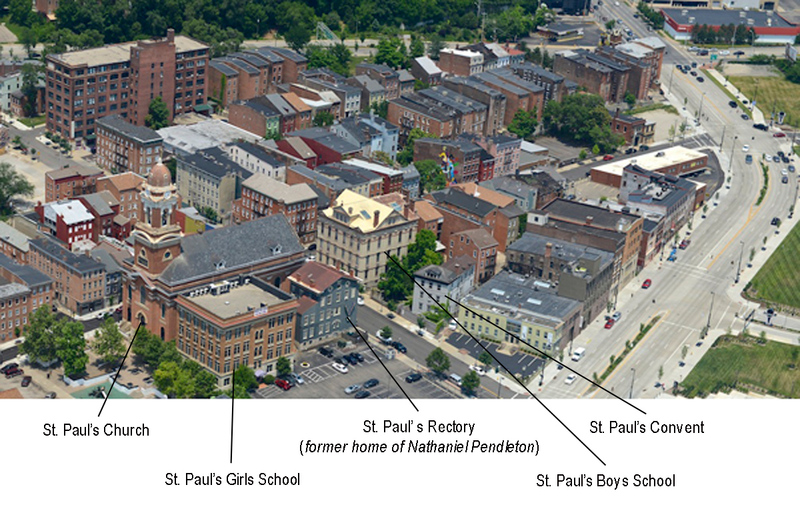 Demographic changes in Over-the-Rhine and Pendleton in the 20th century meant fewer Catholics lived nearby, and Old St. Mary’s declined in membership and resources. 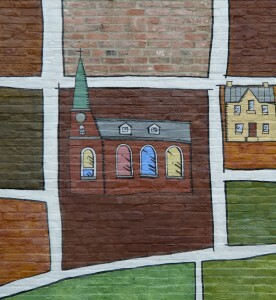 The parish found a new mission in the 1960s by providing social services and multilingual masses. 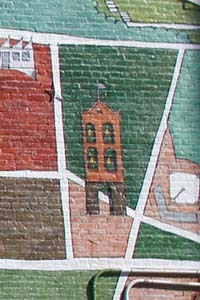 After the 1970s, the parish experienced a revival in membership and interest from throughout the Cincinnati area. Old St. Mary’s Church was added to the National Register of Historic Places in 1976. 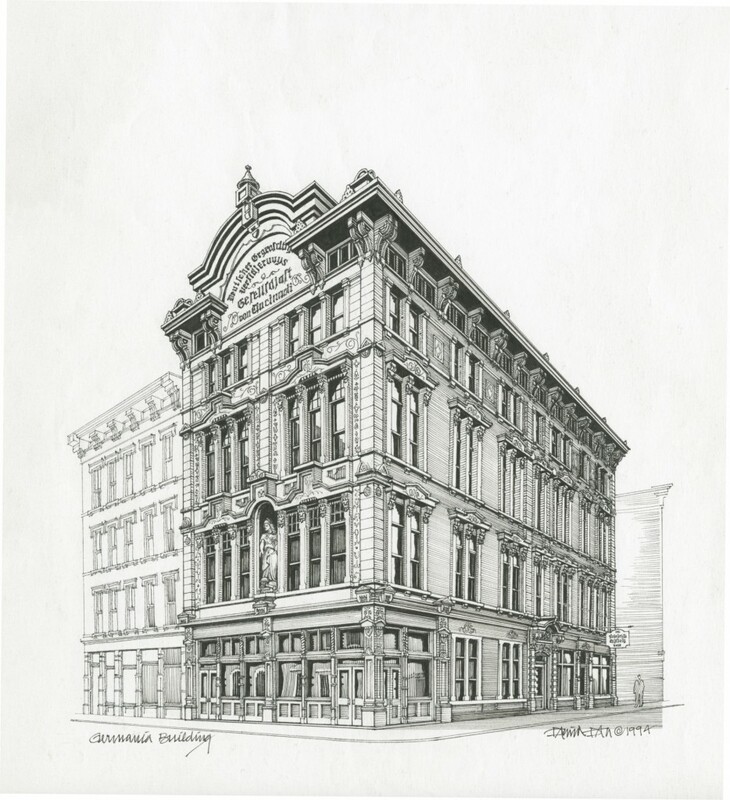 The Germania Building, built as the headquarters of the German Mutual Insurance Company in 1877, stands as a vivid symbol of Cincinnati’s German heritage.German-born builder and architect Johann Bast designed and constructed this richly ornamented Italian Renaissance Revival structure. 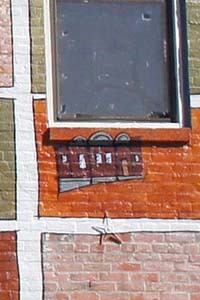 The building’s iron storefront and cornice werecast by Cincinnati ironworker Leonhard Schreiber. A second story niche facing Walnut Street holds the work of Cincinnati German sculptor, Leopold Fettweis, “Germania”, a sculpture of a female figure representing the spirit and culture of Germany. A smaller statue of Apollo, the god of music and poetry, driving four horses overlooks the 12th Street entrance. The Germania Building reflected the cultural interests of the founder of the German Mutual Insurance Company, Heinrich A. Rattermann. Rattermann was largely self-educated, yet became Cincinnati’s most prominent German-American literary figure and promoter of German art, music, and literature in the United States. The editor of Der Deutsche Pionier, the journal of the German Pioneer Club, Rattermann was one of the country’s leading historians on German settlement in America. Although his passion was for German culture, Rattermann made his living in business. 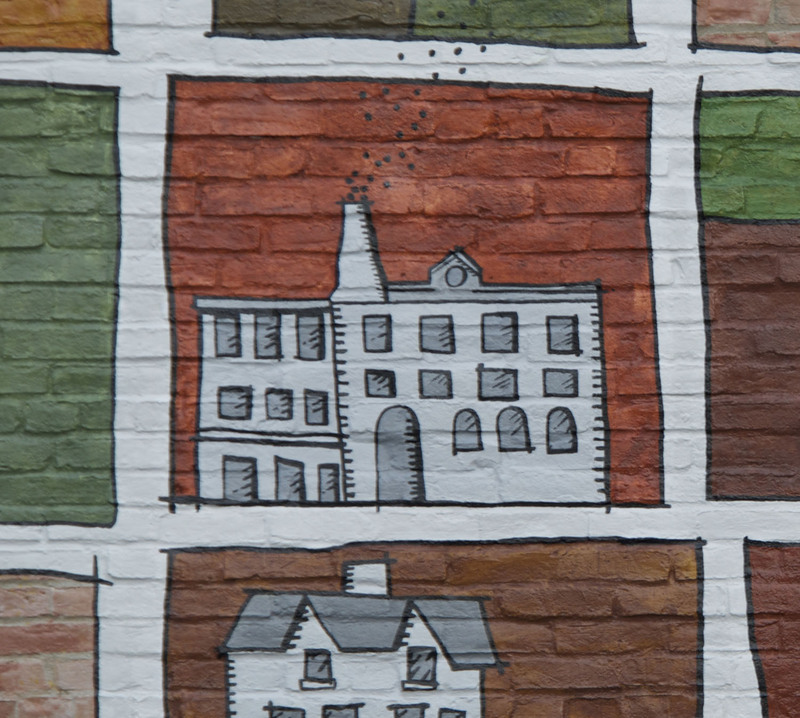 In 1858, he joined with other Cincinnati German businessmen to form the German Mutual Insurance Company which sold property and fire insurance primarily to the German immigrant community of the Over-the-Rhine neighborhood. Anti-German feeling during World War I induced the company to change its name to Hamilton Mutual Insurance and to remove the overtly Germanic features of its headquarters. The company almost removed the statue of Germania, but reconsidered and instead altered it and renamed it “Columbia”. It also covered over the German name of the company, “Deutsche Gegenseitige Versicherungs-Gesellschaft von Cincinnnati” blazoned beneath the arched portion of the cornice. In July 2014, at the time of the 100th anniversary of the beginning of World War I, the boards covering the name were removed. The Germania Building housed the headquarters of the German Mutual Insurance Company. 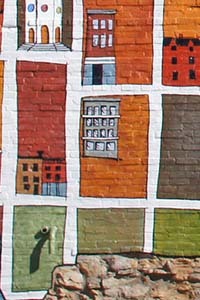 Cincinnati Observed by John Clubbe, Ohio State University Press, 1992. Cincinnati, Over-the-Rhine: a Historical Guide to 19th Century Buildings and their Residentsby Robert Wimberg, Ohio Book Store, 1987. The Story of our First Century of Service by H. William Brockmann, Hamilton Mutual Insurance Co., 1958. 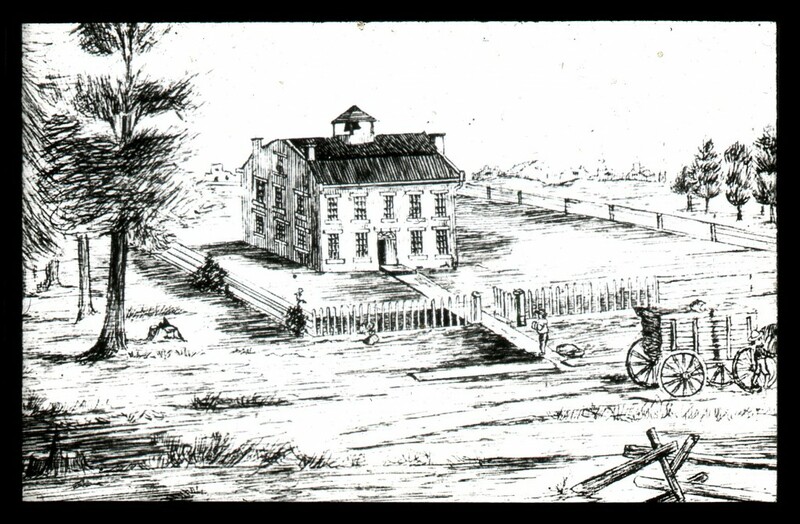 In 1828, John D. Craig, a soon-to-be head of the U.S. Patent Office, called for the founding of an institute in Cincinnati to promote education based on the practical application of science and technology. Later that year he helped to establish the Ohio Mechanics Institute, one of earliest technical institutes in the United States. At first O.M.I. simply offered its members evening lectures and use of its large library, but later it developed a demanding curriculum for artisans, machine makers, and those in the building trades. After twenty years O.M.I. found its first permanent home at Greenwood Hall, built at 6th and Vine Streets with the financial help of iron foundry owner Miles Greenwood. From 1838 to 1860, O.M.I. held annual trade shows showcasing the work of Cincinnati area artisans and manufacturers, a tradition that continued in the Cincinnati industrial expositions of the 1870s and 1880s. 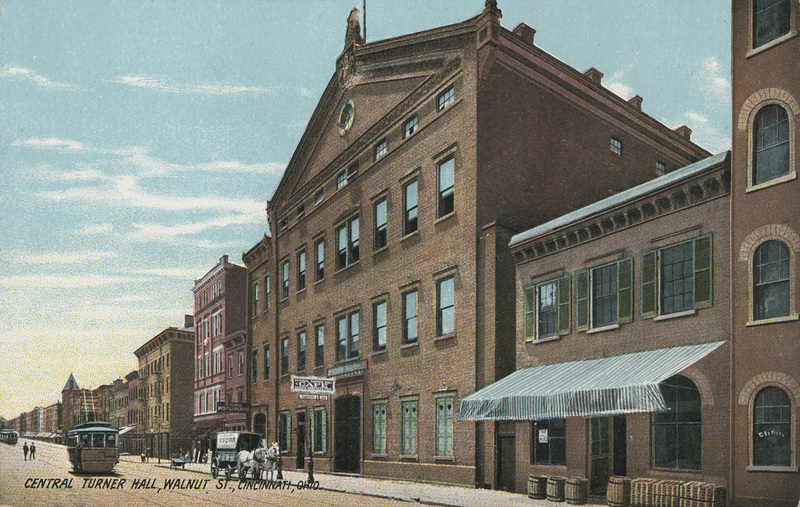 In 1911, the Ohio Mechanics Institute moved to the northeast corner of Walnut Street and North Canal Street (later renamed Central Parkway) after philanthropist Mary Emery presented a major donation for a new building and auditorium/concert hall in memory of her husband, Thomas Emery. The renowned architectural firm Samuel Hannaford and Son designed the five-story English Tutor style building. The school’s acoustically exceptional auditorium, the Emery Theatre, was the home of the Cincinnati Symphony Orchestra from 1912 until 1936. 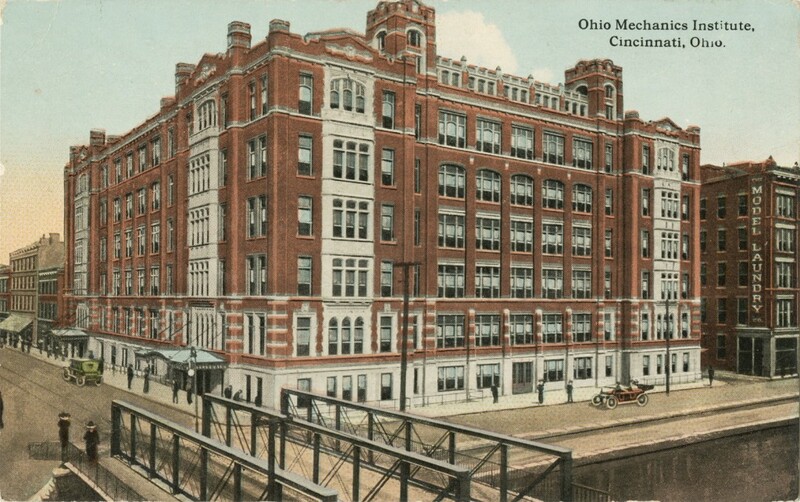 In 1958, the Ohio Mechanics Institute changed its name to the Ohio College of Applied Science. The College moved from Central Parkway in 1988, and the building was remodeled into apartments and commercial space in 2001. OCAS became a part of the University of Cincinnati in 1969 and united with the College of Engineering and Applied Science in 2009. With increasing competition from turnpikes and railroads, traffic on the canal reached its peak in 1851. 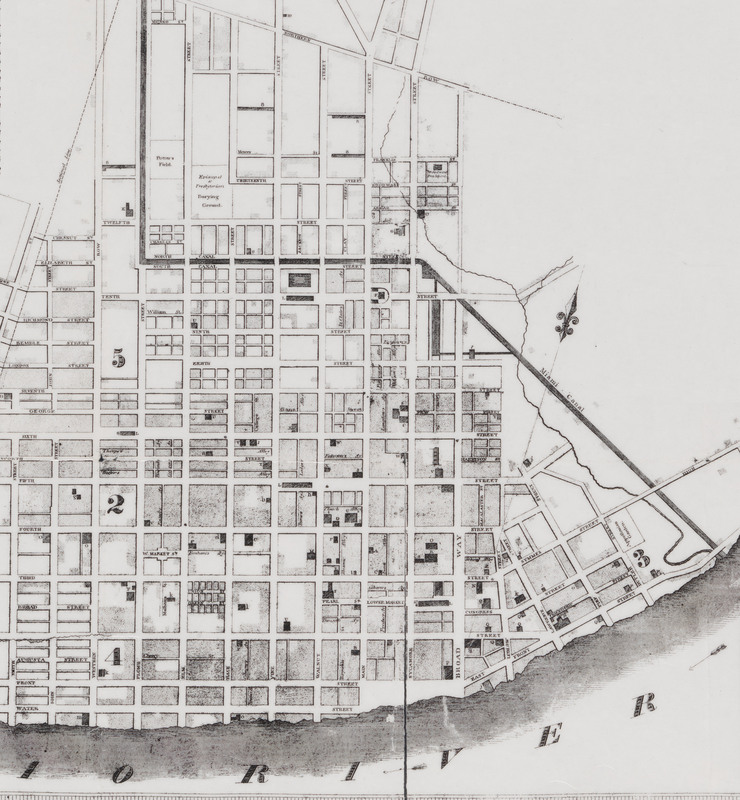 In 1863, the section between the Ohio River and Canal Street was closed and paved to construct Eggleston Avenue. The State of Ohio abandoned the canal system in 1909. 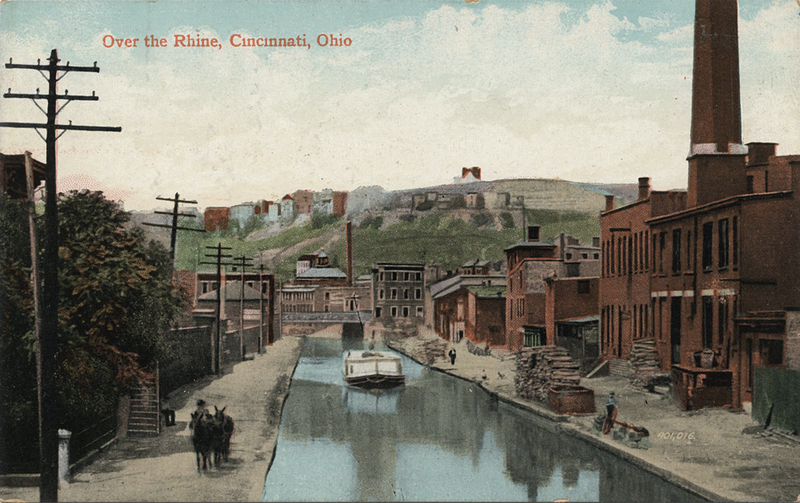 Cincinnati’s remaining section continued to serve the local transportation needs of breweries and other industries until it was drained in 1919. Nearly a decade later, and after a failed attempt to build a subway along the route, Central Parkway was constructed over the canal. Canals of Ohio: 1825-1913 by Marilyn G. Hood, Ohio Historical Society, 1971. A Photo Album of Ohio’s Canal Era, 1825 – 1913 by Jack Gieck, Kent State University Press, 1992. Playmates of the Towpath: Happy Memories of the Canal Swimmers’ Society by Charles Ludwig, Cincinnati Times Star, 1929. Born in Germany where he apprenticed as a blacksmith, Christopher Ahrens came to Cincinnati at age nineteen in 1853 and found work both as a firefighter for the city’s new professional fire department and as a machinist in the plant making the highly efficient steam engine pumper that had modernized firefighting in Cincinnati. Following Cincinnati’s lead, more cities in the United States adopted steam powered pumpers, and Ahrens saw the business potential of nationwide sales. He bought the design pattern for the engine in 1868 and started Ahrens Fire Engine Manufacturing across the street from Fire Station No. 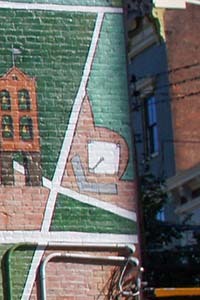 7 where he worked. By 1890, Ahrens’ factory employed over a hundred workers, mostly German-speaking immigrants who lived nearby. 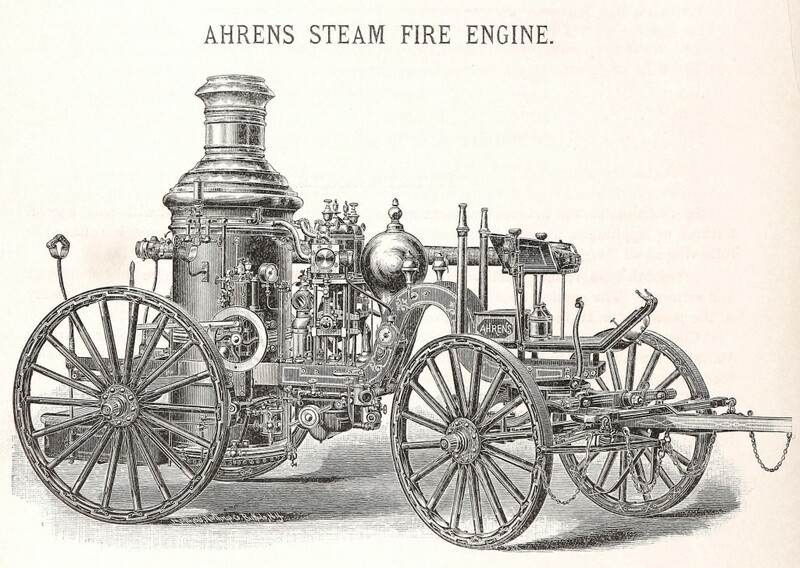 Ahrens significantly improved the original pumper design and energetically marketed his engines throughout the country, offering cities that bought Ahrens engines on-site training by engineers. The company soon became a leading national fire equipment supplier. In 1905, the company reorganized and moved its operations to Camp Washington. 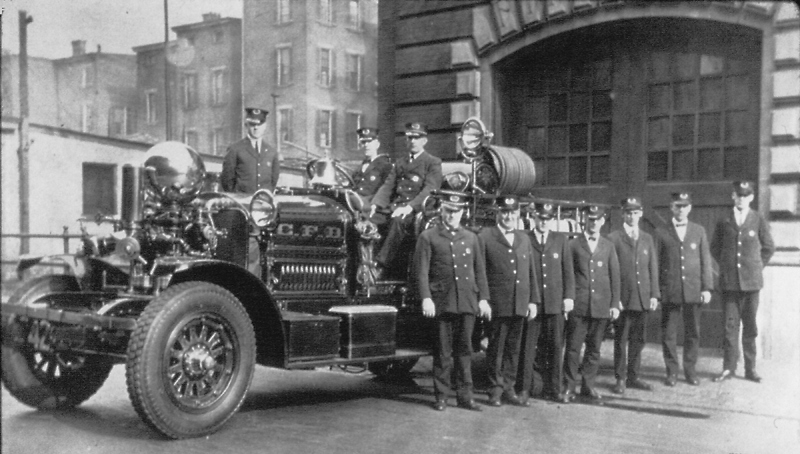 As the Ahrens-Fox Company, it soon began production of gas-powered pumpers and motorized fire trucks that were highly-regarded throughout the country. The company ceased production in 1953. Bearing the inscription “Deutsche Evangelisch Reformirt, Salem’s Kirche” (German Evangelical Reformed, Salem’s Church), this structure was built in 1867 as the new home of a German-language Reformed Protestant congregation that had formed a decade earlier. Salem Church, modelled after a church in Frankfort, Germany, was built in the German Gothic Revival style with pointed arched windows, a buttressed tower, and a high spire. It’s most notable feature, though, was a large weathervane at the top of the spire in the shape of the Angel Gabriel in mid-flight blowing his trumpet to remind all of the Day of Judgment. Damaged by lightening in 1966, the original Gabriel was replaced with a close replica. Salem Church was able to maintain a strong congregation in the 20th century even as Germans moved out of Over-the-Rhine. The church dropped the word “Deutsche” from its official name due to anti-German sentiment during World War I but conducted services in German up to the 1930s. 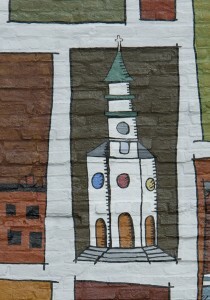 In 1957, the congregation’s name changed to Salem United Church of Christ after a nationwide merger of churches. 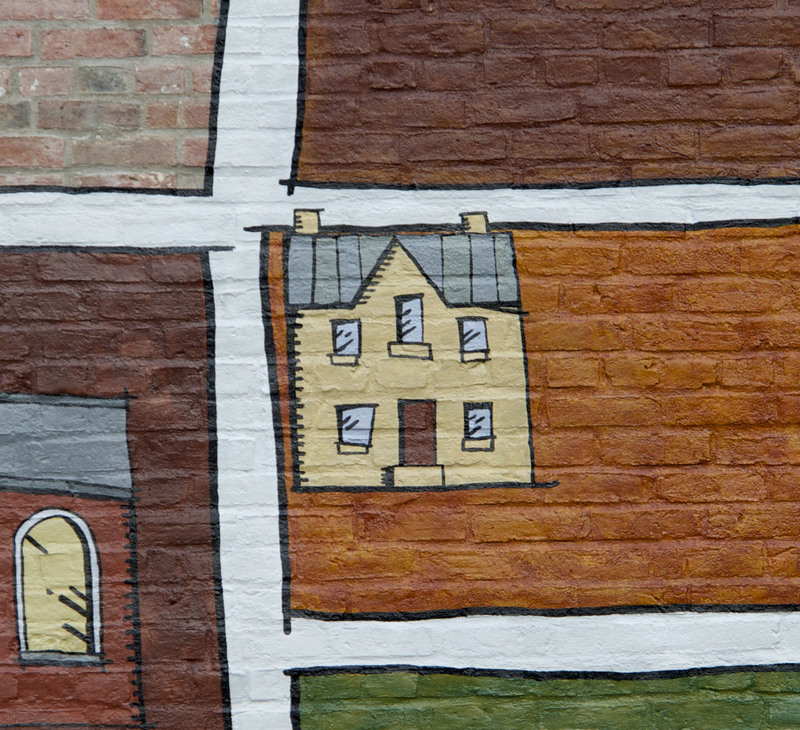 In 1977, the church began “Gabriel’s Corner”, a community arts and cultural center inside its adjoining education building as a way to promote harmony in a diverse urban community. Over several decades, the center hosted numerous dance performances, plays, art shows and other cultural events. The Bicentennial Guide to Greater Cincinnati: a Portrait of Two Hundred Years by Geoffrey J. Giglierano and Deborah A. Overmyer,Cincinnati Historical Society, 1988. 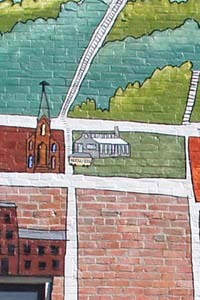 Centennial Souvenir, Salem Evangelical & Reformed Church, 1957. Founded in 1879 by John G. Japp, this manufacturer of wigs and toupees and seller of hair dyes and hair accessories was a mainstay of the upper Main Street business district until 1985. Built in 1876, this Renaissance Revival Style building was home to Herman Adolph Hanke’s department store, which served the upper Main Street neighborhood before failing in 1933 during the Great Depression. 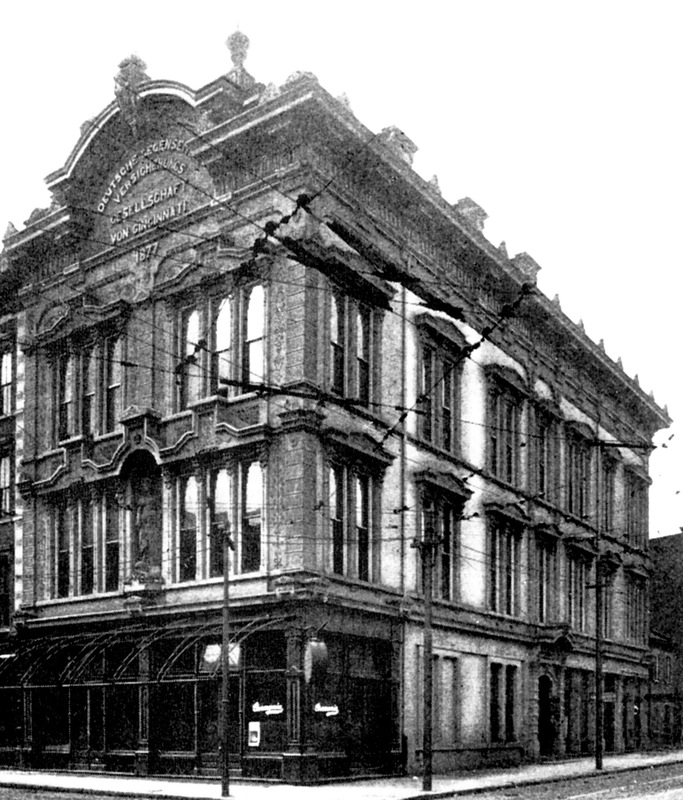 One of Cincinnati’s first major department stores, Alms & Doepke expanded rapidly with five significant additions between its founding in 1878 and 1906. It closed its doors in 1953. 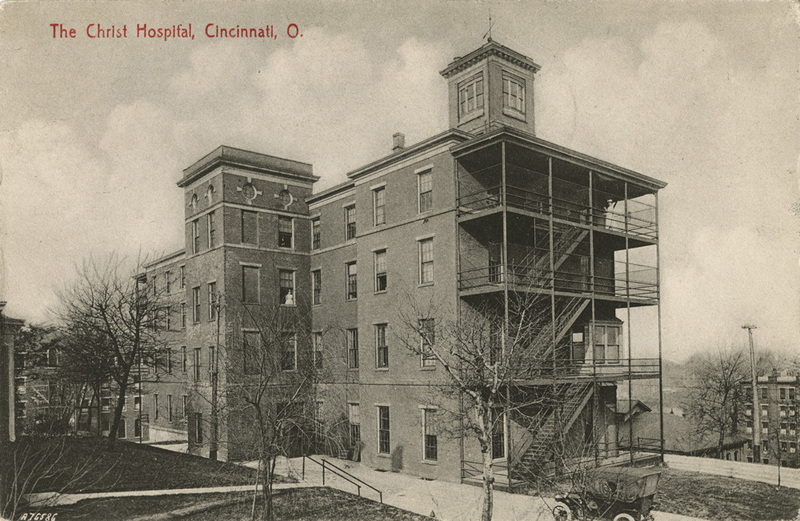 Christ Hospital began in 1889 as a mission of the Elizabeth Gamble Deaconess Home Association, a religious organization dedicated to improving the lives of Cincinnati’s poor. 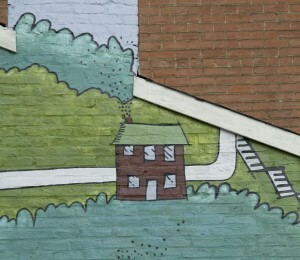 James Gamble, the co-founder of Procter and Gamble, led the group’s effort to support a home to further those goals. 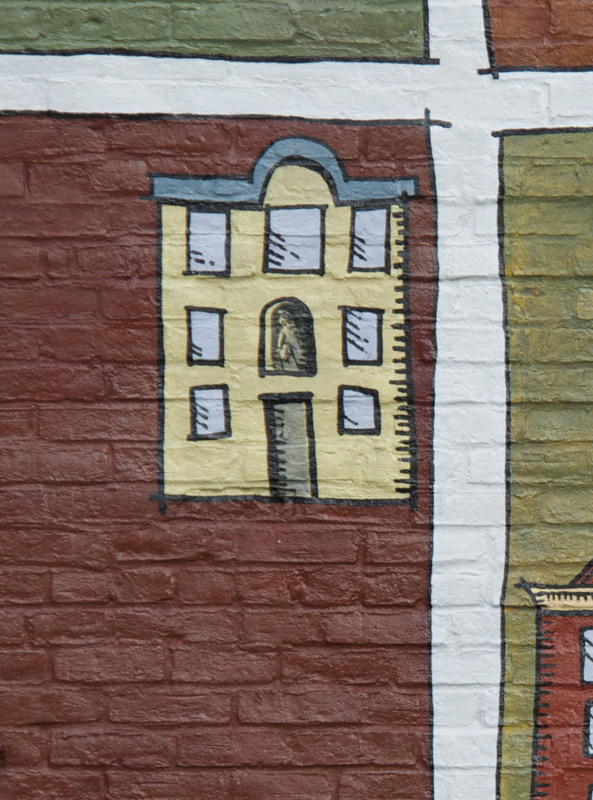 The association originally envisioned a soup kitchen and place for missionary work for tenement dwellers. Yet, when its first director, Isabella Thoburn, discovered a sick woman in the street who could not afford medical care, the home’s mission expanded to include a 10 bed hospital. The institution, named Christ’s Hospital, opened its doors in a house in the West End with Methodist deaconesses serving as the first nursing staff. 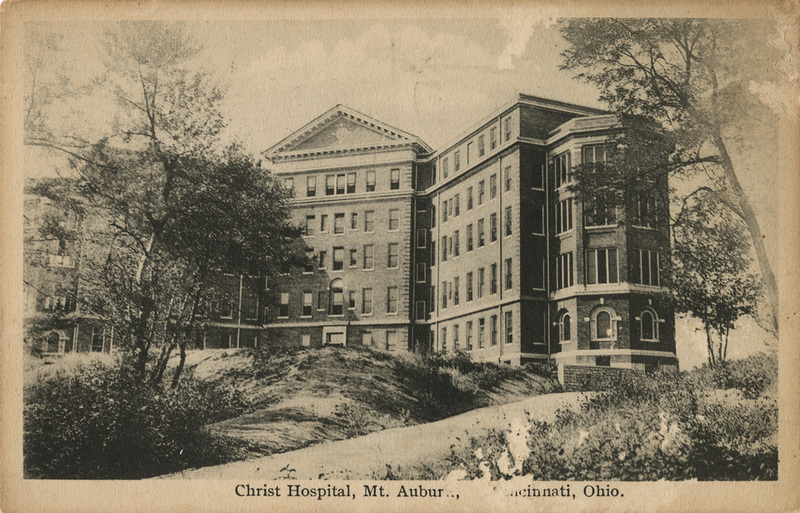 When Christ Hospital’s first location quickly proved inadequate, the Gamble family bought the building and grounds of a women’s college in Mount Auburn overlooking the Pendleton neighborhood. After converting the buildings into a hospital, Christ Hospital opened its expanded facility in 1891. In 1902, nursing education was confirmed as an essential mission of the hospital with the establishment of Christ Hospital School of Nursing. Nearby, construction of a large residence provided housing for the student nurses. Christ Hospital underwent major growth in the 20th century. A five-story wing was added to the original building in 1916. A large public fundraising effort in the 1920s lead to the construction of an expanded medical center in 1930 which replaced most of the earlier buildings. Designed by Dr. John M. Withrow, the 10-story Georgian Revival structure featured two large wings and a central building topped by a tower. Since its construction the tower has been illuminated at night, shining as a landmark beacon above the city. 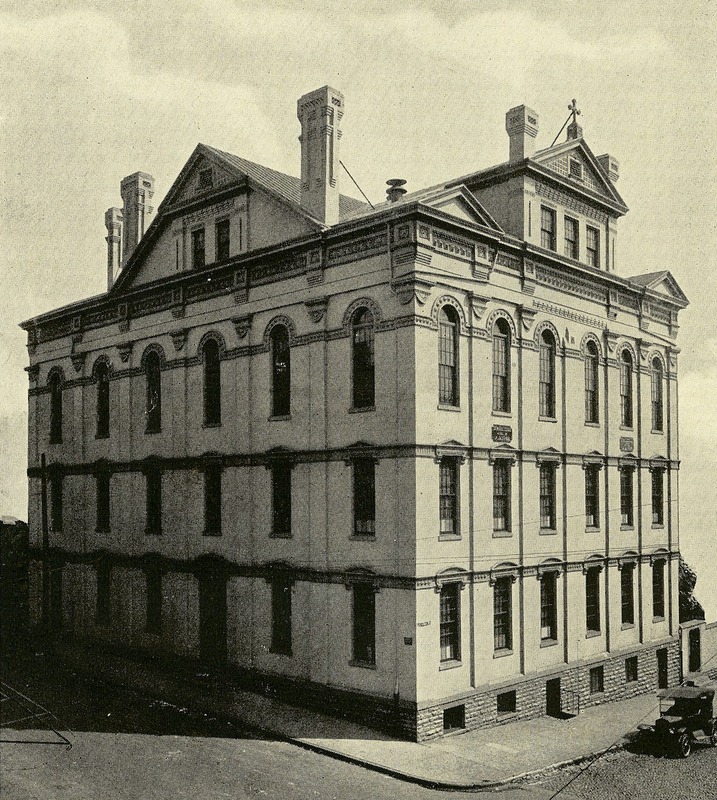 The main building of the Mount Auburn Young Ladies Institute was transformed into Christ Hospital in 1891. Continually expanding, Christ Hospital added a new wing in 1916 to the existing buildings. Cincinnati Observed: Architecture and History by John Clubbe, Ohio State University Press, 1992. A History of the Christ Hospital School of Nursing, The Christ Hospital, 1985. This brick building served as the storage barn for trolley cars of the Mount Auburn Incline Railway (1872-1898) and the Mount Auburn Cable Railway (1888-1904). This four story brick and stone Italianate/Gothic style school house built in 1867 had 21 classrooms and space for more than 1,000 students in grades one through eight. It later served as a trade school from 1917 to 1945. 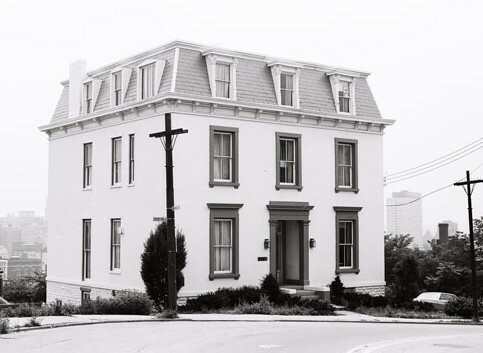 Samuel Burdsal, one of Cincinnati’s first pharmacists, established his drug store at Front and Vine streets in 1835 and moved to this house in the early 1850’s. Christian Boss lived here with his family from 1866 to 1879, a block from the Gambrinus Stock Co. Brewery, which he founded. Patients first received care in the 1840s at the “Hotel for Invalids” established by several of Cincinnati’s leading physicians. 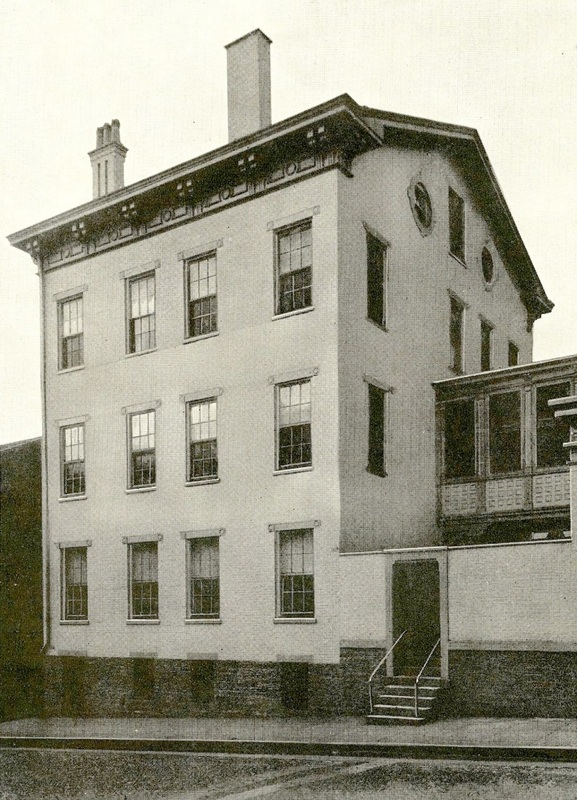 After it closed in the early 1850s, the building reopened as the city’s first private hospital, St. John’s, serving patients who could not afford to pay. 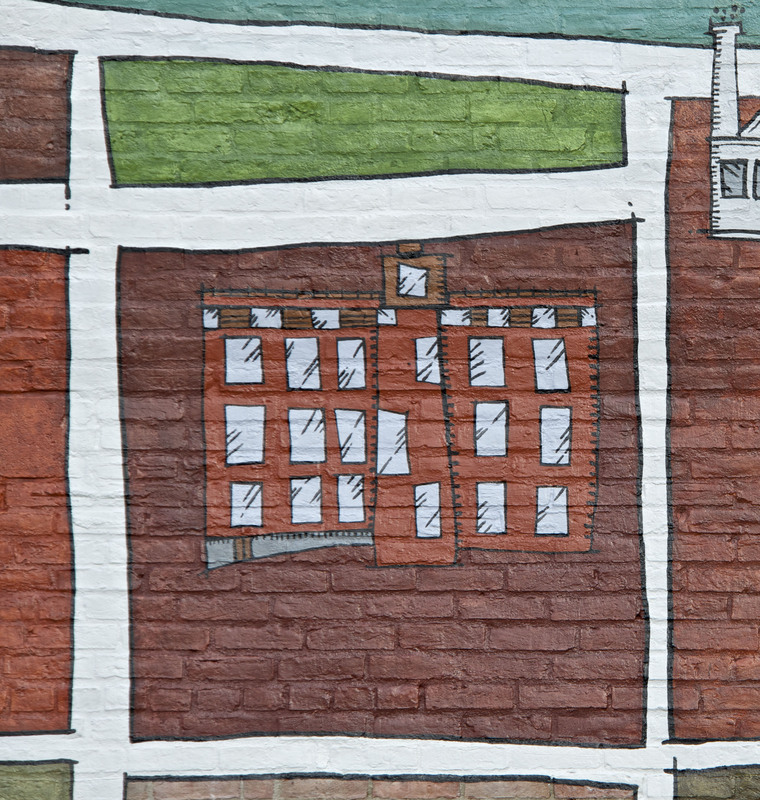 In 1855, St. John’s moved downtown to larger quarters and eventually became Good Samaritan Hospital. From 1856-1863, the building returned to use as a boarding house and was run by its most famous resident, abolitionist Levi Coffin. Known as the President of the Underground Railroad, Coffin helped over 3,000 slaves escape. Among them was Eliza Harris, who inspired Harriet Beecher Stowe’s novel, Uncle Tom’s Cabin. The boarding house’s constant activity provided the necessary cover to harbor slaves and aid their escape. Living here, Coffin also helped establish and worked as an agent for the Western Freedman’s Aid Society, which collected and distributed food and clothing to ex-slaves freed during the Civil War. For a brief time in the late 1860s, the boarding house again operated as a charitable hospital, St. Luke’s. 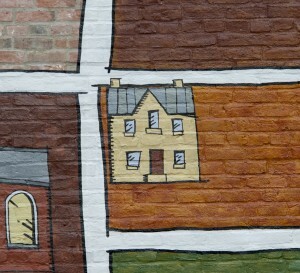 Soon after, however, a row of houses replaced the boarding house. 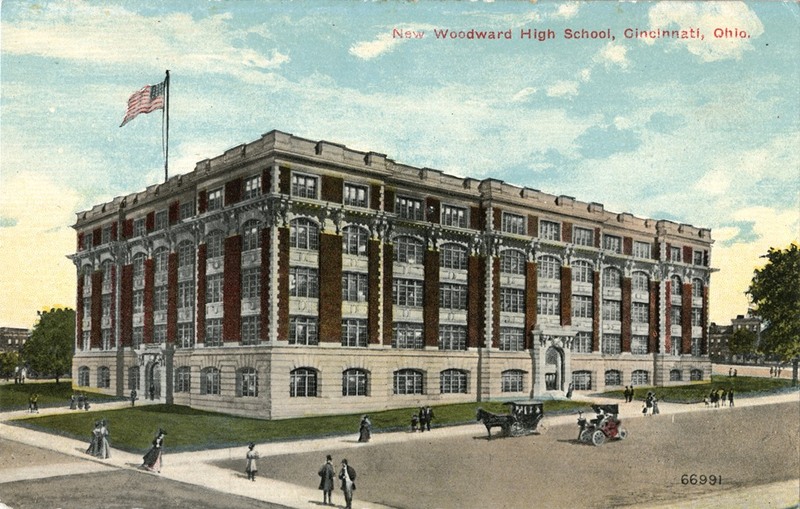 They were later torn down during excavation for the third Woodward High School building, which opened in 1910. Cincinnati’s Good Samaritan Hospital: A History by John H. Wilson, M.D, Cincinnati Book Publishers, 2012. Fleeing to Freedom on the Underground Railroad: The Courageous Slaves, Agents, and Conductors by Elaine Landau, Twenty-First Century Books, 2006. Reminiscences of Levi Coffin, the Reputed President of the Underground Railroad: Being a Brief History of the Labors of a Lifetime in Behalf of the Slave, with the Stories of Numerous Fugitives, Who Gained their Freedom through His Instrumentality, and Many Other Incidents by Levi Coffin, R. Clarke & Co., 1880. 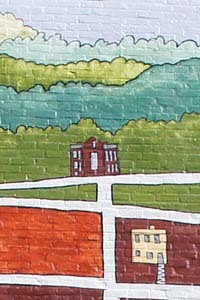 This site was home to the first public high school west of the Allegheny Mountains, Woodward High School. Early Cincinnati settler William Woodward donated land and money for the original two-story brick schoolhouse, built in 1831. 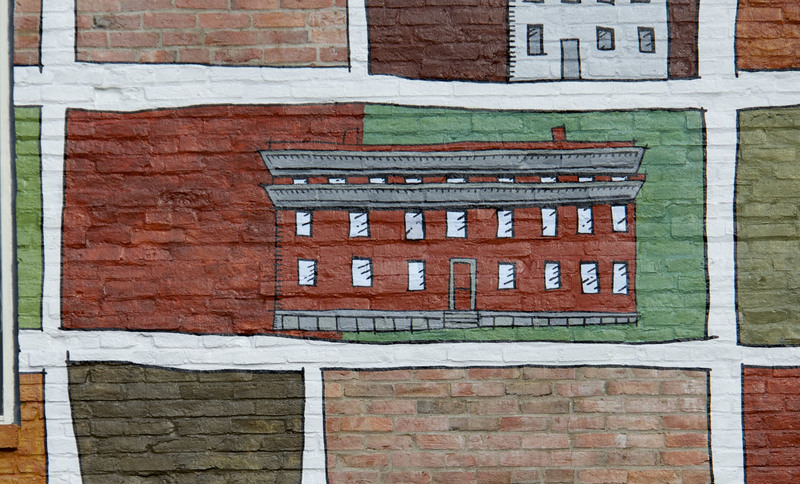 As Cincinnati’s first public school, it taught both high school and elementary students. A college curriculum was added 1836 and the name changed to Woodward College. 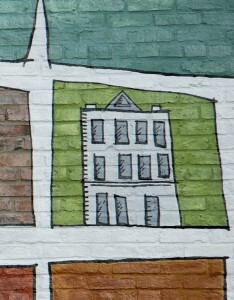 By 1855, a new building replaced the first and would stand until 1907. For first several years following the construction of the second building, famed abolitionist Levi Coffin lived on the property, where he provided a safe house and escape routes for runaway slaves. Both Woodward and his wife, Abigail, were buried on the school grounds. In 1878, a monument was erected on the school grounds to pay tribute to them. 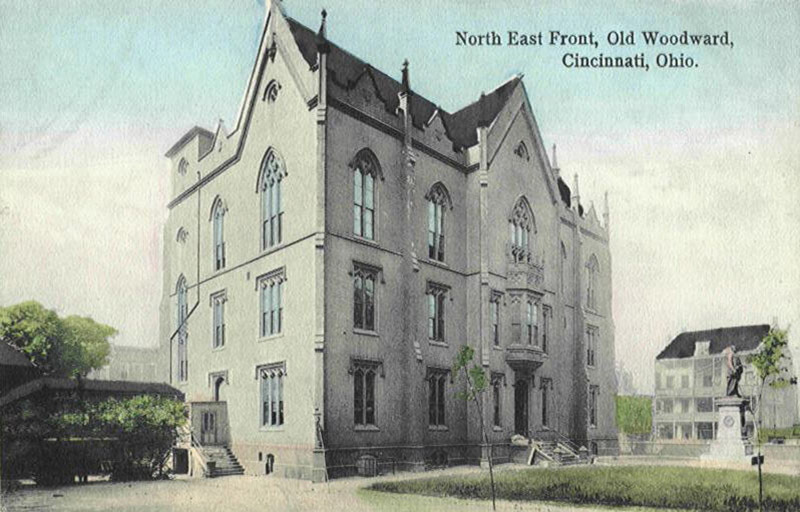 A third Woodward High School was erected on the original site in 1910, a Renaissance Revival style building designed by Gustav W. Drach, a prominent Cincinnati architect and Woodward graduate. President of the United States, William Howard Taft, also a Woodward alum, laid the cornerstone at the building’s dedication. 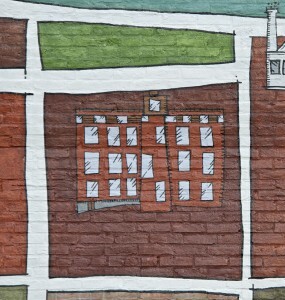 In the mid-1950s, the building became home to Abigail Cutter Junior High School, named after Woodward’s wife, and the high school moved to Bond Hill. Two decades later, the School for the Creative and Performing Arts, one of the nation’s first magnet schools to combine arts studies with a college-preparatory program, moved into the Woodward Building. SCPA would remain at that site until its move in 2010 to a new facility on Central Parkway. A History of the Schools of Cincinnati by John Brough Shotwell, The School Life Company, 1902. History of the Schools of Cincinnati and Other Institutions, Public and Private by W.A. Montgomery, Cincinnati Board of Education, 1900. Old Woodward: A Memorial Relating to Woodward High School, 1831–1836, and Woodward College, 1836–1851, In the City Of Cincinnati, Robert Clarke & Co., 1884. 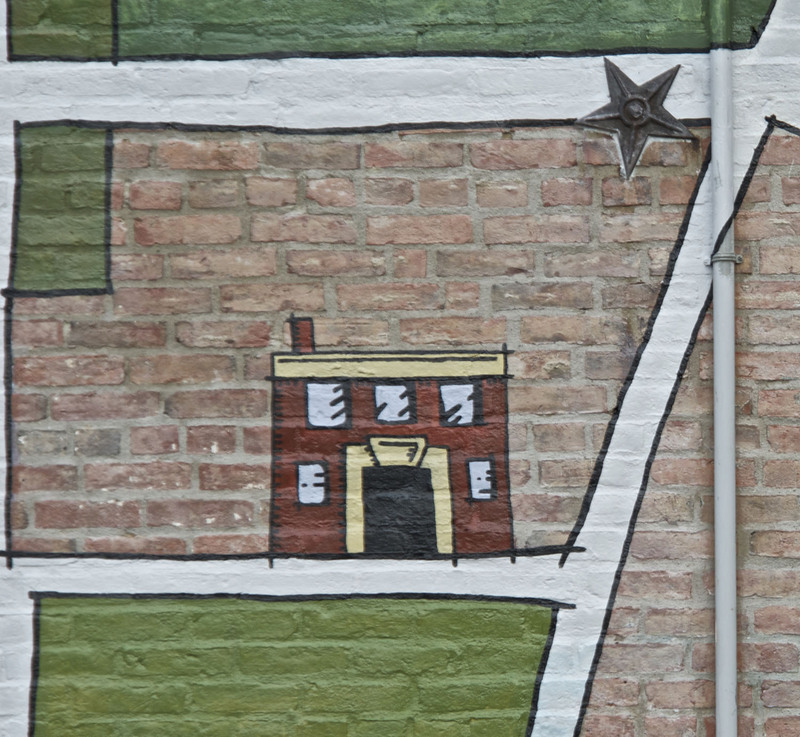 For nearly 105 years beer flowed at the corner of Sycamore and East Twelfth (Abigail) streets. Founded in 1832, the brewery changed ownership and names several times but Gambrinus Stock Co. Brewery remains the most well-known. Under the name Boss and Ray Brewery, Rhineland-born Christian Boss began brewing German-style lager there in 1855. By 1867, he had bought out his partners and reorganized his business as a joint stock company, the first brewery in Ohio to do so. Boss renamed his brewery the Gambrinus Stock Co. after the mythical King Gambrinus whose uplifted arm holding a stein of beer was a familiar symbol among German beer-makers. With public ownership Boss had the capital to create a modern brewery complex with a new Romanesque-style brewhouse designed by the famed local brewery architect, George W. Rapp. 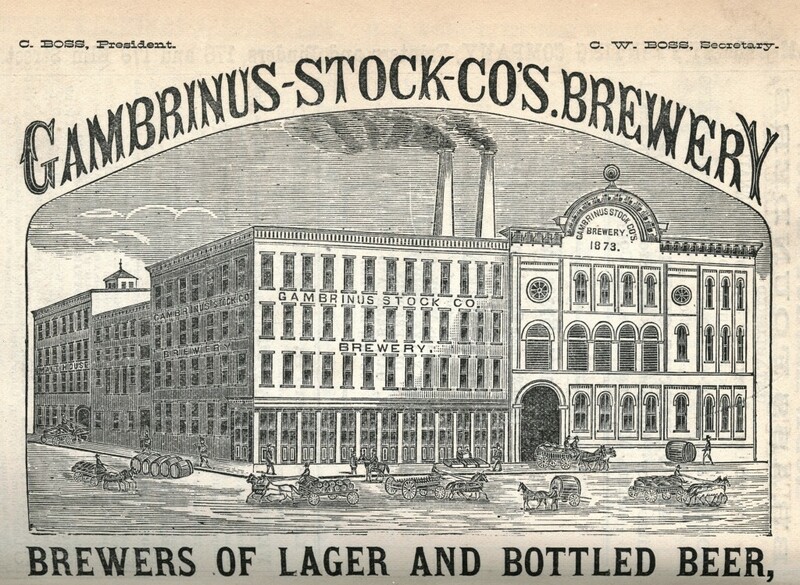 Gambrinus Stock was also one of the first Cincinnati breweries to operate its own bottling plant. 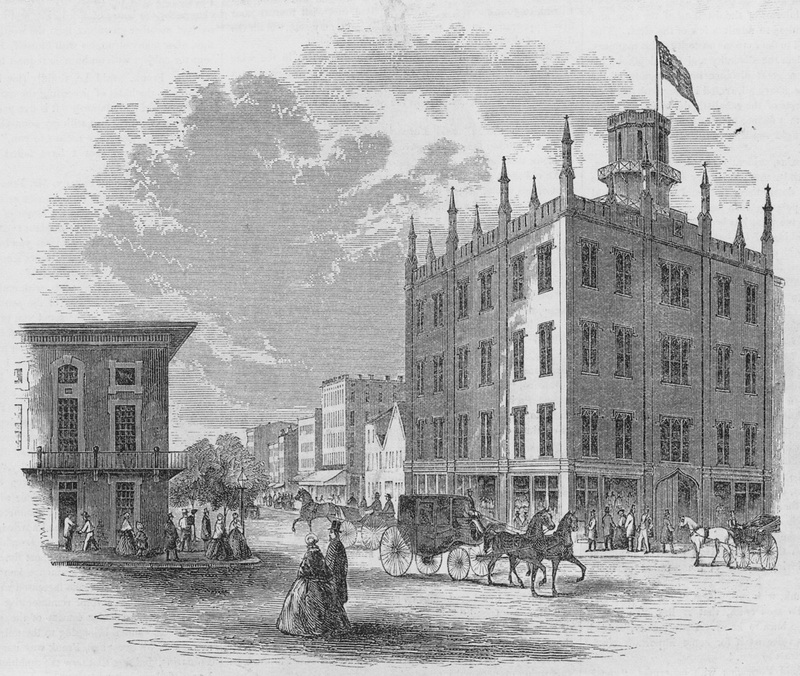 By 1879, it had become Cincinnati’s sixth largest brewery. Christian Boss ran the brewery right up to his death at age 86 in 1908. 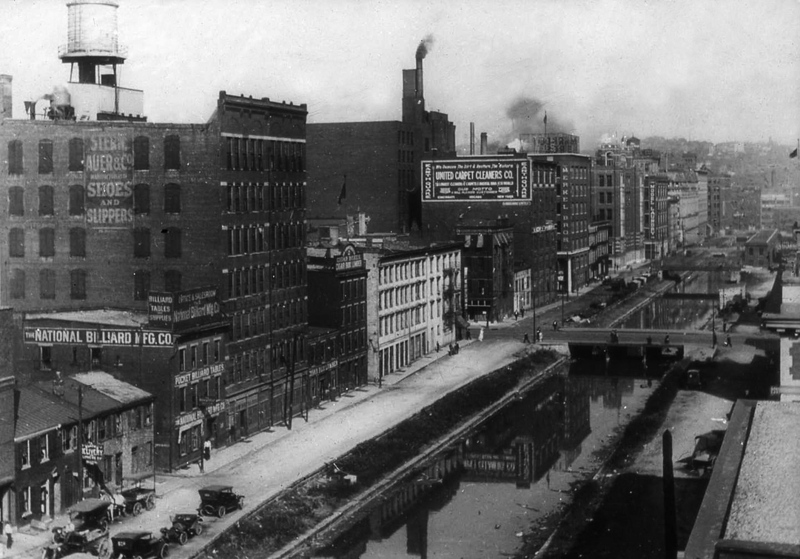 The onset of Prohibition brought beer production to an end in Cincinnati. William A. Boss, Christian’s son, was so distraught that he attempted suicide during the last “wet” St. Patrick’s Day celebration at the brewery in 1919. An attempt to market a non-alcoholic malt brew named “Gam” failed, and the brewery closed in January 1920. In 1933, the Vienna Brewing Company resumed beer production at the facility but closed by 1940. The brewery’s main building was demolished in 1980, leaving only the horse stables, located at 310 Reading Road, as a lasting reminder of Christian Boss’s life’s work. An illustrated advertisement from 1880 of the Gambrinus Stock Co. shows the transport of kegs of beer on horse-drawn wagons. Brewing Beer in the Queen City: a Pictorial History of the Brewing Industry in Cincinnati, Ohio by Robert A. Musson, Zepp Publications, 2014. Cincinnati Breweries by Robert J. Wimberg, Ohio Book Store, 1989. Over the Barrel: the Brewing History and Beer Culture of Cincinnati, 1800 to the Present by Timothy J. Holian, Sudhaus Press, 2000. This candy company set up production in the former Gambrinus Brewery in the 1920’s and sold their products nearby at a store on Walnut Street. The Gambrinus Stock Co. Brewery on Sycamore and East 12th streets expanded into a three story annex. Built in the early 1900s, it was torn down in 1989. 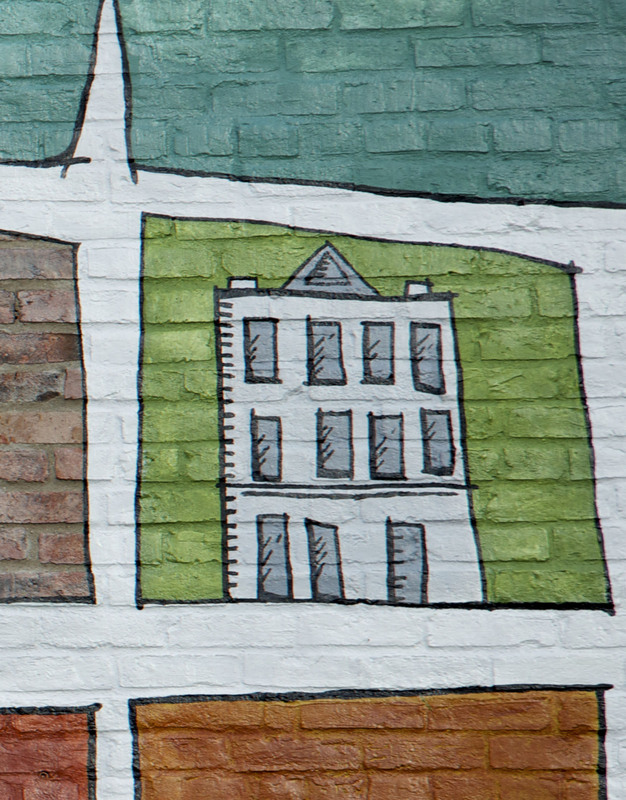 This structure, where the Gambrinus Stock Co. Brewery once kept the horses that pulled their delivery wagons, is the only building from the brewery complex to survive into the 21st century. Built in 1803, this Federal-style residence was originally located at Broadway and Reading Road, two blocks from its current location. 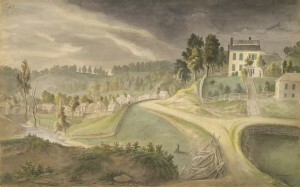 In 1818, Nathaniel Greene Pendleton, a young attorney from a distinguished Georgia family, settled in Cincinnati and purchased this house along with the adjoining land. Nathaniel Pendleton’s sizeable land holdings became known to local residents as Pendleton’s Woods. 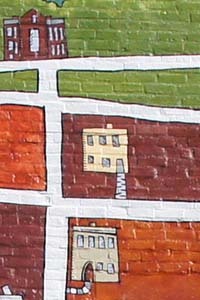 As this area later developed into an urban neighborhood, it was called the Pendleton district. Within a year of Nathaniel Pendleton’s arrival, he was named as the City of Cincinnati’s first attorney. He later served in the Ohio legislature and as president of Cincinnati City Council. Winning the election to the U.S. House of Representatives as a Whig in 1841, Pendleton served only one term and afterwards retired from politics. He died in 1861. His son, George Hunt Pendleton, also active in politics, served as a U.S. Senator. In 1848, the newly-formed St. Paul’s Parish bought Pendleton’s residence for the church rectory. 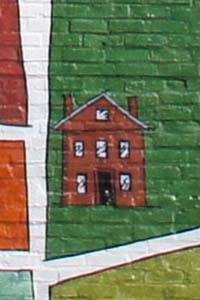 The house was disassembled and rebuilt on Pendleton Street where it stands today. 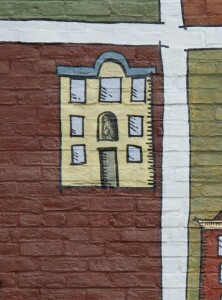 The parish added a third story to the house in 1866. When Verdin Co. acquired the buildings of St. Paul’s Parish after it closed, this former Pendleton home and church rectory was converted to office space. Mr. Pendleton’s House near Deer Creek, by Adrien Mayers, 1835, depicts the idyllic setting of Nathaniel Pendleton’s home and surrounding land. The Parish House of St. Paul’s Catholic Church, shown here in 1925, was the former residence of Congressman Nathaniel G. Pendleton from 1819 to 1848. Biographical Cyclopædia and Portrait Gallery with an Historical Sketch of the State of Ohio, Western Biographical Publishing Company, 1883. Saint Paul Parish During Seventy-Five Years, 1850-1925, Church of Saint Paul, 1925. 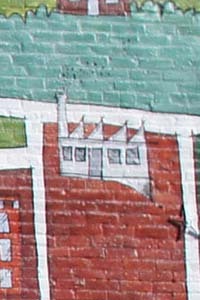 The home of prominent Cincinnati brewer Louis (Ludwig) Hudepohl Jr., located at 1344 Spring Street, was razed when the Liberty Street Connector cut through the Pendleton neighborhood in the 1960’s. A Cincinnati native, Louis Hudepohl attended Saint Paul’s Parochial Boy’s School where he was fond of music and a good singer. 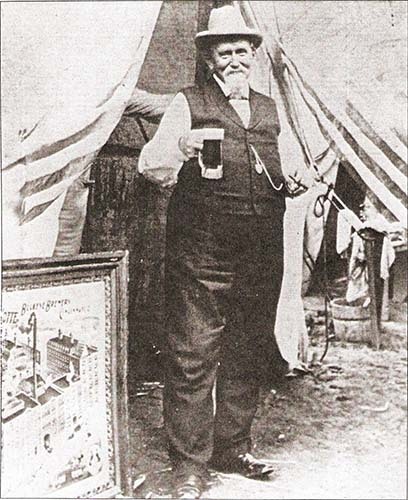 As an adult he became one of the most popular citizens of German descent in Cincinnati, and was celebrated locally for his fine quality beer. In 1861 he organized the Hudepohl Combination later renamed the Hudepohl Männerchor, one of the city’s best known German singing societies. He was also a board member of the nationally renowned Golden Jubilee Sängerfest and even introduced a new brand of beer, Golden Jubilee, to commemorate the event. Louis Hudepohl and partner George Kotte first ran a wholesale liquor business together before acquiring the Buckeye Brewery in 1885. 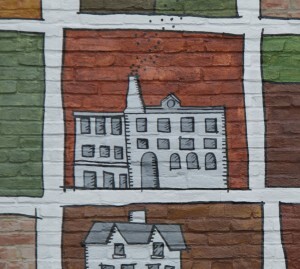 When Kotte died in 1893, followed by his wife in 1900, Hudepohl took full ownership of the brewery and reorganized it as the Hudepohl Brewing Company which grew into one of the major Cincinnati breweries. Even though he soon died in 1902, Hudepohl had laid the foundation of a strong business that allowed his son-in-law, William A. Pohl to carry on through the Prohibition and the Great Depression. For Hudepohl, like other German brewers, it was always a family affair. 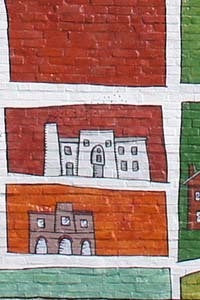 Over-the-Rhine Tour Guide: Cincinnati’s Historic German District, Over-the-Rhine, and Environs by Don Heinrich Tolzman, Little Miami Pub. 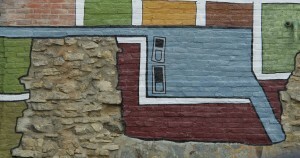 Co., 2011. In the 19th century, the high cost of in-home plumbing and water heaters meant that many Cincinnatians bathed at commercially operated bath houses, where prices ranged from 15 cents to $1.50 per ticket. Social reformers advocated for publicly funded baths not only as a way to check the spread of disease in crowded cities but also to improve living conditions and educate about the benefits of cleanliness. 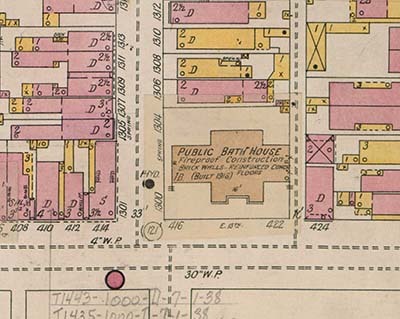 In 1904, Cincinnati opened its first municipal-owned and operated bath house on Bremen (now Republic) Street, which attracted up to 3,000 people a week. 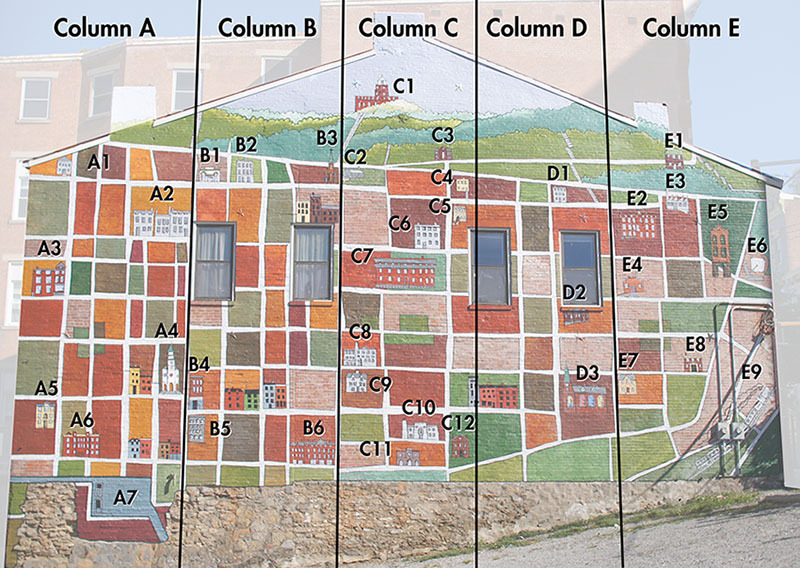 The city eventually added five others in different neighborhoods. The Pendleton bath house, featured here, was built in 1916 and designed by noted local architect Louis Dittoe. It offered 18 separate baths for men and 16 for women as well as a swimming pool in the basement. As in-home plumbing became commonplace, the City of Cincinnati began to close its public baths, shutting all of them by 1942. After serving the Pendleton neighborhood for 23 years, the East 13th and Spring streets bath house closed in 1938. Afterward, it was used as a chapter location of the Junior Order of United American Mechanics for two decades before becoming St. Mary Baptist Church in 1962. 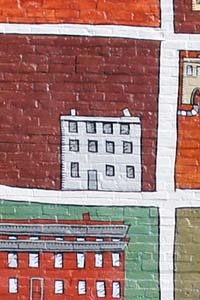 The Public Bath House at East 13th and Spring streets served the needs of the Pendleton neighborhood from 1916 to 1938. 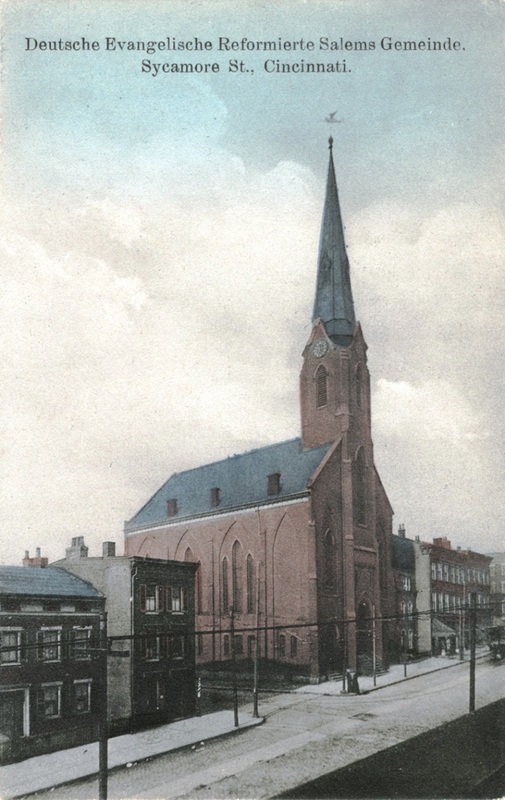 St. Paul’s Catholic Church was the seventh of twelve German-language parishes established in Cincinnati during the mid-1800s, the result of exceptional German immigration during this period. To provide for the overflow of members from St. Mary’s Church, Father Joseph Ferneding founded St. Paul Parish and built the church on land he bought from Nathaniel Pendleton. Dedicated in 1850, the church featured striking Bavarian stained glass windows, Italian mosaic floors, and an imposing arched ceiling capped by a fifty-foot steeple. Father Ferneding also acquired Pendleton’s old family home and had it moved nearby to serve as the rectory. St. Paul’s was built in anticipation of growth, and by the 1890s, the parish expanded to a complex of five buildings serving over a thousand families. 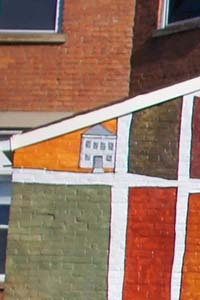 In addition to an original grade school and church, the parish added a separate boys’ school (1862), a convent (1902), and a girls’ school (1907). After a fire in 1899, noted local architect Samuel Hannaford designed a golden, rounded top to replace the church’s ruined steeple. Closed in 1974 and sold to the City of Cincinnati, the church and parish buildings were soon added to the National Register of Historic Places as the St. Paul Church Historic District. The Verdin Company bought the five-building complex in 1981and restored it, converting the church into their corporate headquarters, as well as the Verdin Bell and Clock Museum. With a sweeping view of downtown Cincinnati and the Ohio River, the Pendleton House was the residence of United States Senator George Hunt Pendleton and his wife, Alice Key Pendleton, the daughter of Francis Scott Key. This French Second Empire style house was built in 1870 and served as the Pendletons’ home from 1879 to 1889. Born in Cincinnati in 1825 and educated at Woodward High School and Cincinnati College, George Pendleton served in the U.S. House of Representatives during the Civil War. He was a leader of the “Peace Democrats” who opposed Abraham Lincoln’s use of military force to prevent the South from seceding. Running as both the Democratic candidate for Vice President and for his own House seat in 1864, Pendleton was defeated in both elections. Fifteen years later, Pendleton became U. S. Senator from Ohio and swiftly established himself as a leading voice for civil service reform. There are reports that as chair of the Senate Committee on Civil Service Reform, “Gentleman George” met with committee members at his Cincinnati home on Liberty Hill. There they drafted the legislation that eventually became the Pendleton Civil Service Reform Act of 1883 which established the civil service examination system. This angered Democratic supporters of the old patronage system, who refused to run him as a candidate for Senate the following year. Glover Cleveland soon afterwards appointed Pendleton United States minister to Germany. He died at this post in 1889. 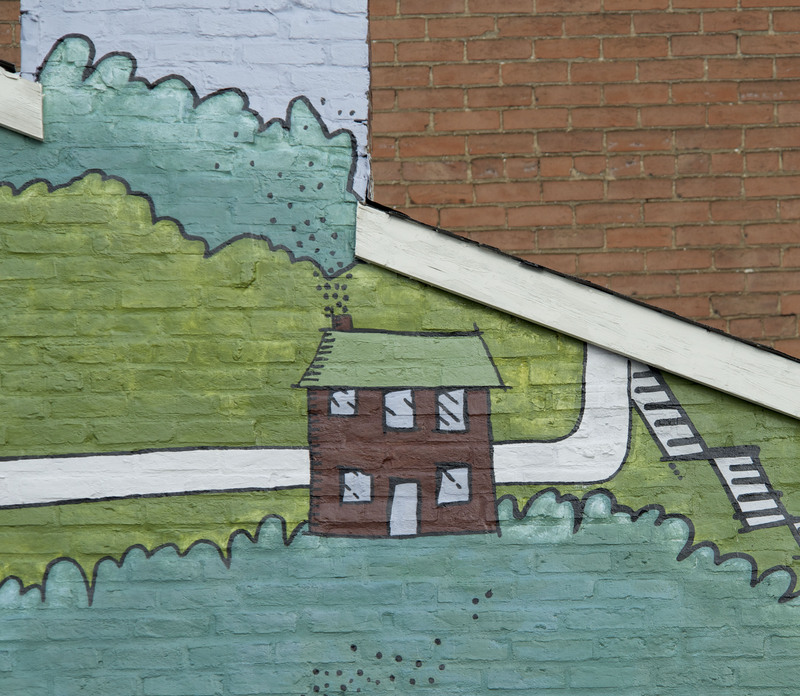 The George Pendleton House was later turned into a boarding house and fell into disrepair. It was designated as a National Register Landmark in 1964 and refurbished as office space shortly after. The George Pendleton House in the early 1970s. 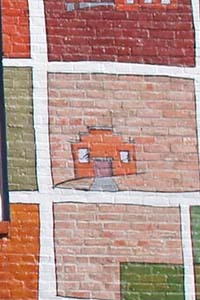 In Pendleton’s day the exterior was darker as the brick was unpainted. Copperheads: the Rise and Fall of Lincoln’s Opponents in the Northby Jennifer L. Weber,Oxford University Press, 2006. “Gentleman George” Hunt Pendleton: Party Politics and Ideological Identity in Nineteenth-Century America by Thomas S. Mach, Kent State University Press, 2007. A Short History of the United States Civil Service by Robert Maranto and David Schultz, University Press of America, 1991. Krohn-Fechheimer & Company opened its eight-story shoe factory in 1909 at the corner of Pendleton and Dandridge Streets. The company, headed by Irwin Krohn, who became director of Cincinnati Parks, and S. Marcus Fechheimer, whose Bavarian ancestors were clothiers, became nationally known for its women’s brand, Red Cross Shoes, featuring style and comfort. In 1931, during the Great Depression, it merged with other area shoe businesses to form the U.S. Shoe Company. In the 1950s, the John Shillito Company purchased the building to use as its main warehouse. After the building was closed in the 1980s, it remained vacant until it was purchased by the Verdin Company, a manufacturer of clocks and bells for over 170 years. 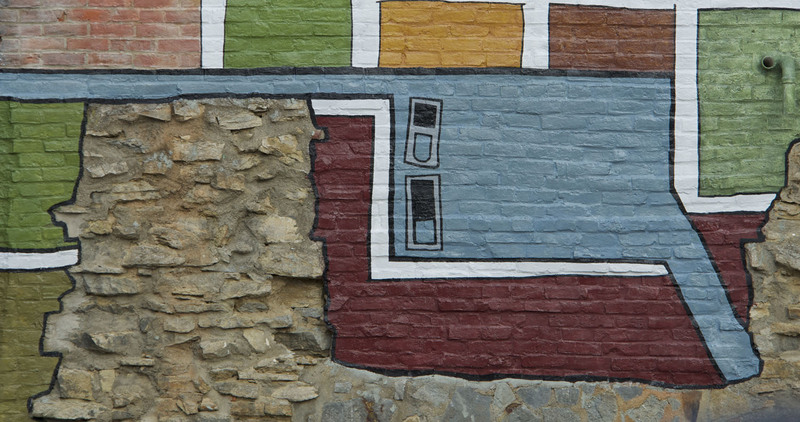 Verdin converted the space into studios for local artisans, creating the Pendleton Art Center. 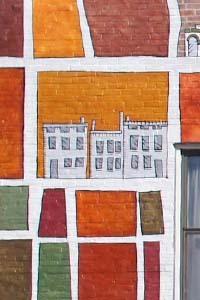 Opened in 1991 it has grown into one of the city’s important cultural centers with over 100 studios housing over 150 artists. 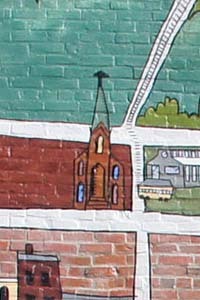 In 1842, two brothers from the Alsace region of France, Francis and Michael Verdin, designed and installed a clock for the steeple tower of the newly built St. Mary’s Church in Over-the-Rhine.The Verdin’s reputation as skilled clock craftsmen and builders soon spread, and they were hired to construct or repair tower clocks in Cincinnati and throughout the surrounding region. In addition to clocks, they used their mechanical skills on the machinery for ringing the tower bells. Francis’s son, Alois Nicholas (A.N.) Verdin, a mechanical engineer and inventor, continued innovation in the area of tower clocks and church bell machinery. In 1927, Innes Theophilus (I.T.) Verdin, A.N. Verdin’s son, designed the world’s first electric bell ringing machine and in 1931 founded the I.T. Verdin Co. to build and market this very specialized but revolutionary new product that quickly replaced manually-operated bell ringers. I.T. Verdin Co. moved to the Pendleton neighborhood in 1947, operating from a machine shop at 551 Dandridge (now demolished). By the early 1950s the Verdin Co. had become the leading national provider of bells and clocks for churches, schools, and other institutions. The I. T. Verdin Co. moved its manufacturing facilities out of Pendleton in 1964, but remained an important part of the neighborhood through its 1981 purchase of St. Paul’s Catholic Church to serve as its headquarters, which includes a bell museum, and a showroom for church products. Still family owned and operated, The Verdin Company has achieved international renown in the manufacture of bells and clocks they have installed in over 50,000 locations worldwide by 2015. The steeple tower of Old St. Mary’s Church, built in 1842, showing the first clock built by Francis and Michael Verdin. Innovators of American Bells & Clocks: the Story of Six Generations of the Verdin Company by Verdin Company, 2013. 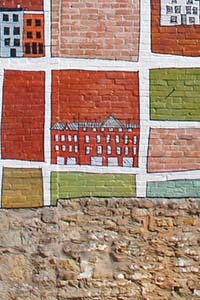 Over-the-Rhine Visions by Eric Lose, University of Cincinnati, Niehoff Urban Studio, College of Design, Architecture, Art, and Planning, College of Arts and Sciences, Institute for Community Partnership, Community Design Center, 2006. That Vanishing Sound by L. Elsinore Springer, Crown Publishers, 1976. W. T. Wagner’s Sons Co., the nation’s oldest carbonated water manufacturer, dating back to 1869, bottled and distributed Wagner’s Ginger Ale at this location until 1960. Created by artists Barbara and David Day, the monument’s bell tower houses 19 bells topped with cast bronze icon finials, each representing a different national or ethnic group that contributed to the rich character to this historic neighborhood, so that when the bells ring the “American Idea” still resonates. Viewing this stretch of Interstate 71 just northeast of downtown Cincinnati, it is hard to imagine that this land was once home to a forested stream, a railroad line with trestles and tunnels, and one of the city’s largest recreation and athletic grounds. Early Cincinnati settlers used both sides of the deep and rugged Deer Creek valley as roadways which eventually became Reading Road and Gilbert Avenue. 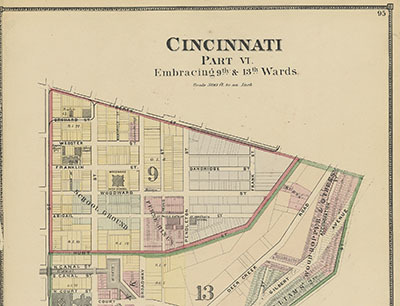 But the valley’s character radically changed from 1852 to 1900 when the City of Cincinnati filled it in with rubble for the construction of the Cincinnati Lebanon and Northern Railroad. 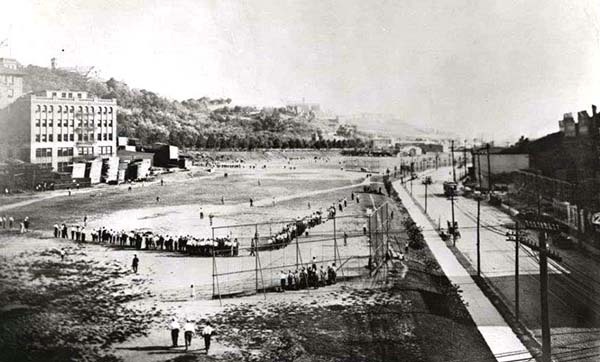 In 1907, the Cincinnati Park Board opened a large athletic field for the benefit of the neighborhoods near downtown in a section of the newly leveled valley alongside the railroad. Originally called the Hunt Street Athletic Grounds, it was later combined with adjoining Johnson Park and renamed Deer Creek Commons in 1911. This 13-acre facility grew to include a field house built by architects S. Hannaford and Sons and six regulation baseball fields which served the needs of high school and amateur league baseball teams throughout the area. Home games for the Woodward High School baseball team were played here. Following several decades of use as a recreation ground, Deer Creek Commons closed when Interstate 71 was built through it in 1964. Narrow Gauge in Ohio: the Cincinnati, Lebanon & Northern Railway by John W. Hauck, Pruett Publishing, 1986. Park System for the City of Cincinnati: Report of the Park Commission of Cincinnati to the Honorable Board of Public Service of the City of Cincinnati, State of Ohio, Press of C.J. Krehbiel & Co. 1907. 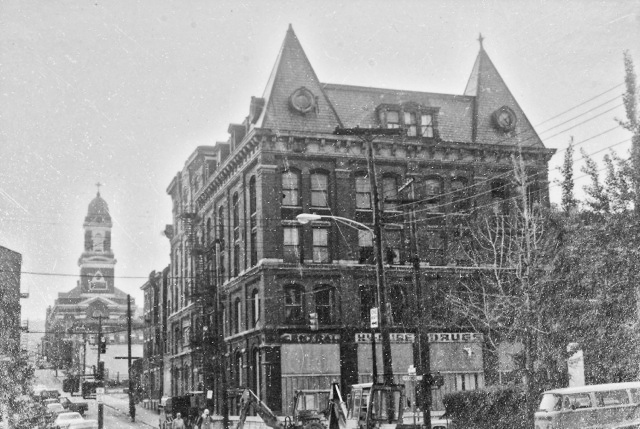 St. Paulus Schule, the commanding structure on the southeast corner of 12th and Pendleton Streets, was part of a 19th century German Catholic parish complex of five buildings anchored by St. Paul’s Church. 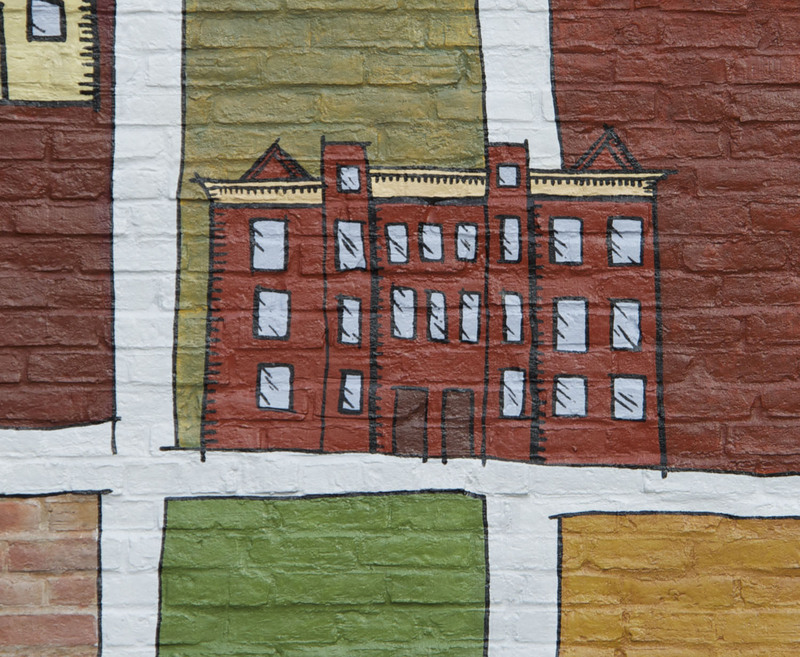 This parish, which ministered to the burgeoning German Catholic population of Over-the-Rhine, built the boy’s school in 1862 to ease overcrowding in the parish’s coeducational school. The girls continued to be schooled in the original building, while the boys moved to the new structure. 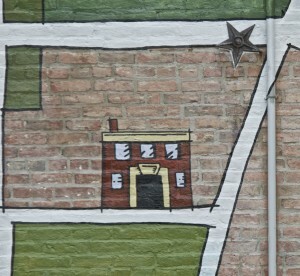 By 1887, more population growth in the neighborhood prompted the parish to enlarge the boys’ school with the addition of more classrooms, a chapel, a library, and an auditorium. Declining Catholic population in the neighborhood throughout the 20th century led to the closure of St. Paul’s Parish in 1974. In 1981, the boys’ school, along with the church and the other parish buildings, was purchased by the Verdin Company. 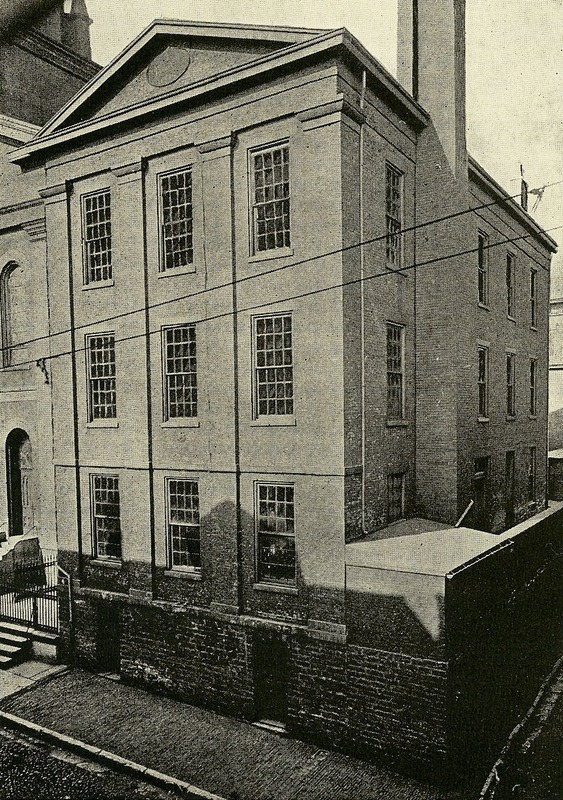 The first St. Paul’s parish school, originally coeducational, served as the girls’ school from 1862 until it was demolished and replaced with a new girls’ school in 1907. 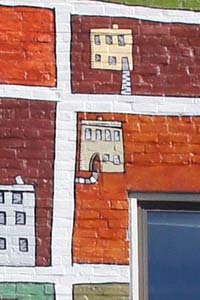 Cincinnati Observed: Architecture and History by John Clubbe, Ohio State University Press. 1992. 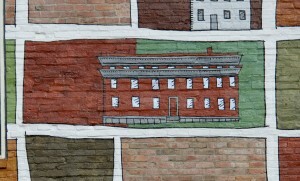 The firehouse for Cincinnati Fire Engine Company, No. 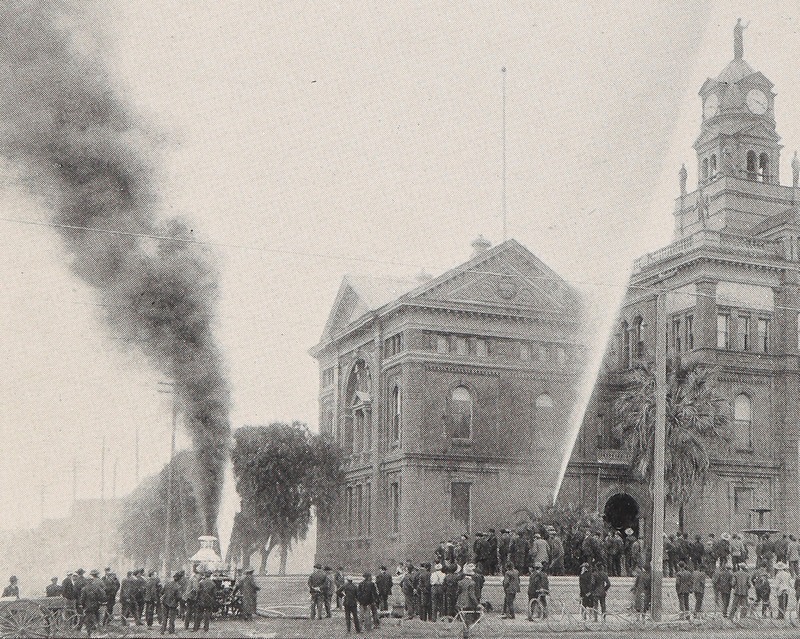 42 opened on August 1, 1906 with eight firefighters, three horses, a hose-wagon with 1,600 feet of hose, and an 8,300 lbs. steam pumper named “Julius Fleischman”. The pumper was built just blocks away by the American Fire Engine Co., the successor to Ahrens Fire Engine Manufacturing Co[Ahrens Fire Engine Manufacturing]. Engine Co. No. 42 was also known as Chemical Company No. 42 because its pumper sprayed a foamy mixture of soda and acid to minimized water damage to buildings. Harry Hake Sr., the principal architect for Cincinnati police and fire stations in this era, designed the Fire Engine Co., No. 42 firehouse in the Renaissance Revival style with classical columns and smooth stone horizontal bands. It was one of the last decorative firehouses to be built in Cincinnati, as stone carving skills became less common and more costly. The Fire Engine Co., No. 42 firehouse was originally constructed to accommodate horse-drawn fire wagons. Its first story housed the fire equipment in the front with horse stables in the rear while the upper level held dormitories and washrooms in the front for the firefighters and haylofts in the rear for the horses. In 1921 the firehouse was converted to motorized equipment, and fire crews no longer had to care for horses as part of their work. Fire Engine Co., No. 42 served the Pendleton community up to 1960. 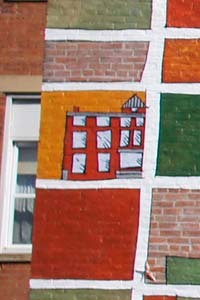 In 1984 the architectural firm Ken Jones Associates converted the firehouse into its office space after restoring it. 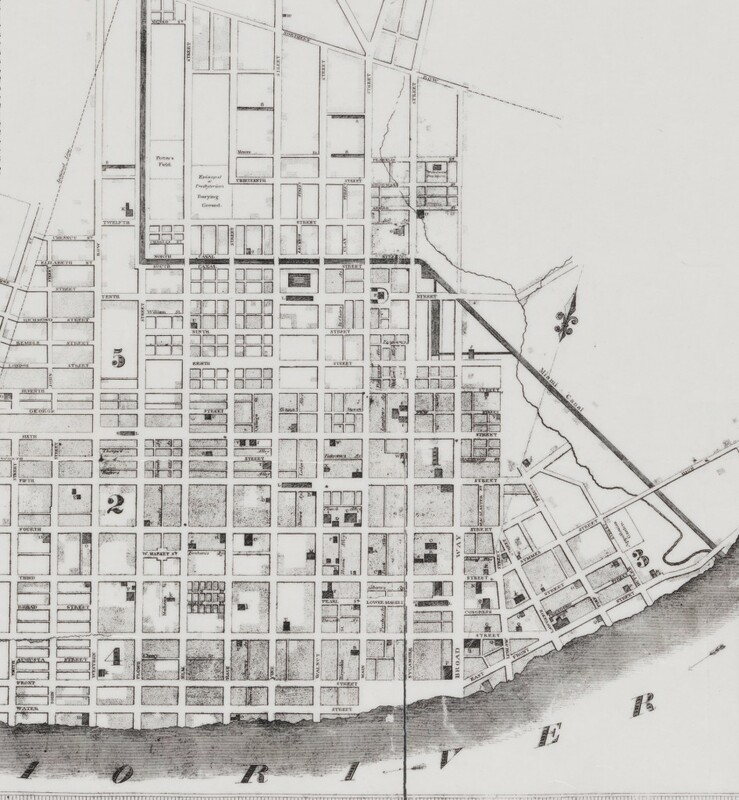 Built in 1851, the first railroad to connect Cincinnati to Dayton, called the Cincinnati, Hamilton and Dayton Railroad, took an indirect yet level route to Dayton, following the Great Miami River through Hamilton. Located on higher ground, Lebanon, Ohio was bypassed by the railroad and thus economically isolated. Prominent citizens of Lebanon obtained a legislative charter and worked with Cincinnati investors to build a new railroad that would connect Cincinnati to Lebanon and Xenia and provide a more direct route to Dayton. 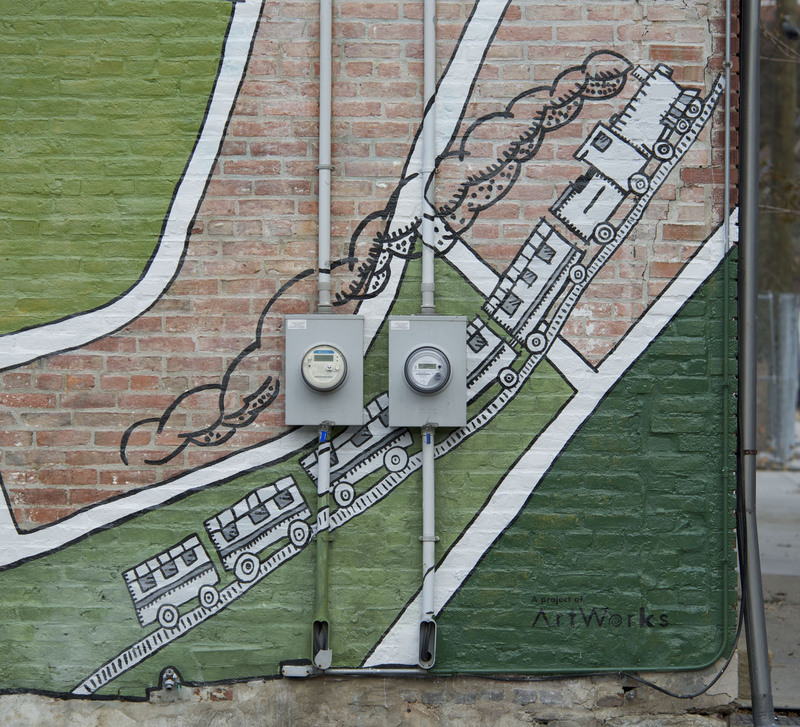 Three decades later, the Cincinnati, Lebanon and Northern Railway finally added service from Court Street in Cincinnati to Lebanon, Ohio. Passengers and freight connected at Lebanon Junction and continued to Dayton. Instead of following the Great Miami River, the “Highland Route” followed the ridge between the Great Miami and Little Miami Rivers to the northeast of Cincinnati and passed through Mason. 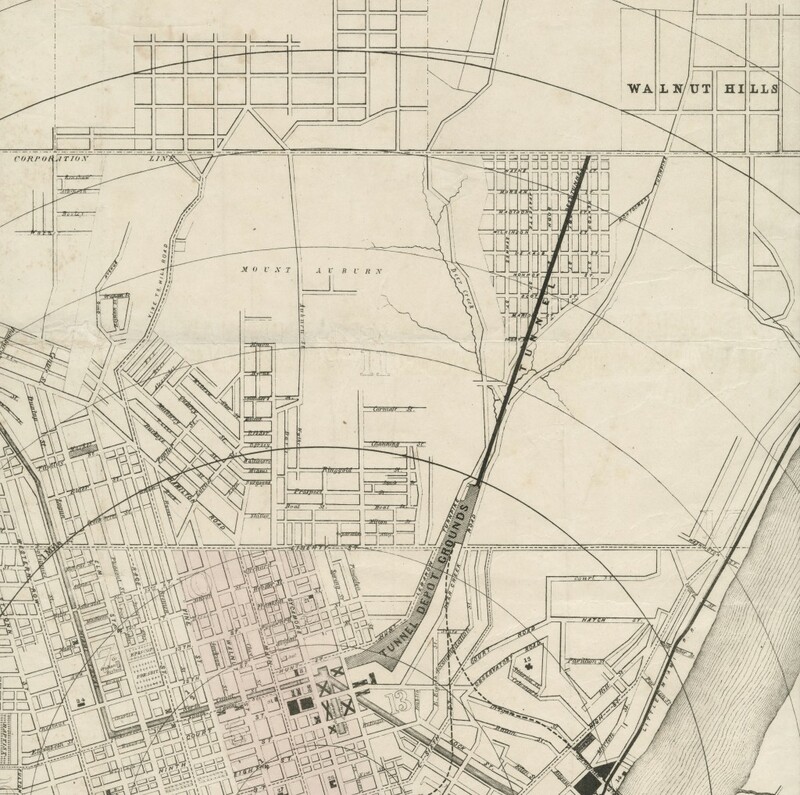 To navigate the first steep hill and leave Cincinnati’s basin, this route required the construction of a short tunnel through the top of Walnut Hills from McMillan to Oak Streets, under what is today Interstate 71. By 1934, CL& N ended all passenger traffic. 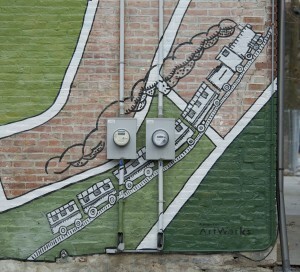 Penn Central continued freight operations at a depot at Court and Gilbert streets until 1969.